Heated mittens with PRIMALOFT® and DRYZONE™ technology to guarantee insulation and impermeability, and three heat settings for up to ten hours of heat distribution. 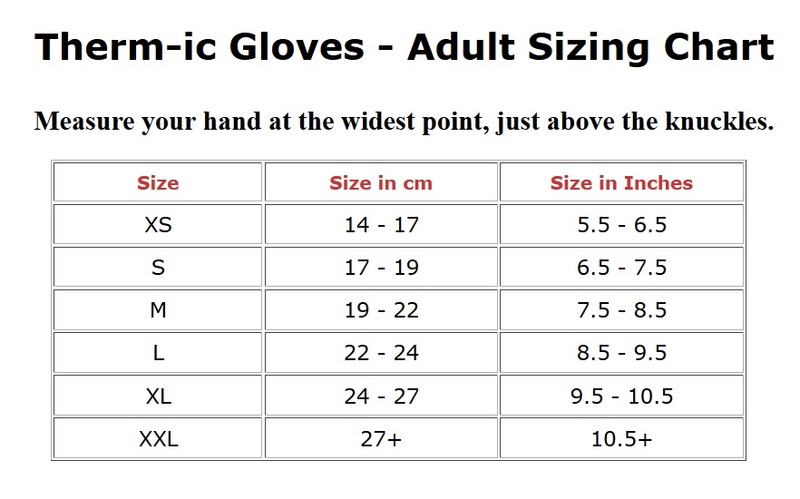 For those who are extremely sensitive to the cold, the PowerGlove IC 1300 Mittens are the right choice: The combination of a soft inner glove and a mitten provides extra warmth. The mittens are kept warm for a long time by powerful lithium-ion dual batteries. With up to three choices of heat settings you only have to press the button on the glove and its starts to heat up. The impulse control, a pulse-like heat, stimulates the blood circulation of the hands and thus ensures a pleasant climate. The global charger is supplied with country-specific adapters and can be used worldwide. 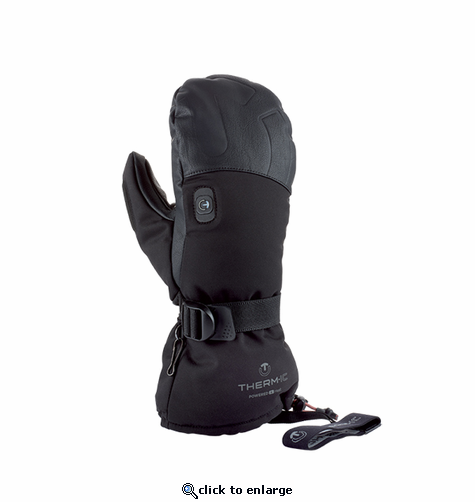 The Therm-ic Hand Warming systems know exactly how to protect you against stiff, frozen fingers. Thanks to their smart interior, Therm-ic PowerGloves constantly provide your hands, starting from the fingertips to the wrist, with warmth for up to 10 hours even in the freezing cold. The mobility of your fingers is not limited and your grip remains firm. Soiled gloves should be cleaned using a damp cloth or, where necessary, with a clothes brush. The glove should never be washed in the washing machine or by hand. As a ski professional (PSIA certified instructor) I need warm hands and recently had a chance to test this mitten. The warming aspect and functionality of the mitten was quite good, however, the cuff is much too narrow to fit over any of my ski coats. Anyone who skis often knows that the glove/mitten cuff should go OVER the jacket in order to keep snow and cold out. This cuff needs to be widened to fit properly. ConsCuff is too narrow to fit over jacket cuffs.